Thank you, sansfin, rohanaka, and scsu1975, for posting the thread links. I hope that these threads can be archived for future use by TCM Message Board members. Thanks so much for looking it up, Ro, I knew someone would know how to find it. It's actually kind of wonderful that we have these threads that he painstakingly put together for so long. I looked through many of the posters last night and it made me feel like he was here, watching over. Some of them were uncanny, as if he knew he wanted to leave something of value for us at just such an occasion. Michael, thanks so much for creating the Kyle forum in the "Archives" section on the boards. From the four threads you've put there so far it's amazing to see how much he has contributed here. I still feel sadness when I'm reminded of his passing, and I've never even had the pleasure of meeting the man. I smile to see the Saturday Evening Post covers in particular in the "House of Lyendecker" thread that SansFin posted further down here. I remember when he and I talked about our appreciation of Rockwell's and Lyendecker's work, and he posted some beautiful pictures around Christmastime. I was very saddened to learn of this. My condolences go to his family and all his friends. I did exchange friendly PMs with Kyle and was very impressed by his knowledge. The loss of Kyle is very sad news for all the TCM community. P.S. The obituary above does state a memorial fund has been created in memory of Kyle. But I don't know details. >The obituary above does state a memorial fund has been created in memory of Kyle. A memorial fund has yet to be established. I am working with the family on that. Once it has been established, I will post an update. This is such sad news. After enjoying his posts here on the TCM boards, I had the pleasure of meeting him at the film festival a couple of years ago. My deepest sympathy to his family and friends. Thank you, Lynn, for leaving me a message while I was out of town. We spoke last night and I started reflecting on my memories of Kyle. Overall, his presence on these boards was amazing and influential. As you said, he was a helpful advocate for all things TCM. I first really noticed him in the Programming Challenges. He was involved from the beginning (and now aren't we up to number 23 or 24?) He bowed out to the next wave of Challengers a while ago (boo hoo) but I'd love to see some of the old Programming Challenge threads posted in a dedicated Kyle thread. They mostly got buried with the last major site makeover. His Challenge entries were astute and often hilarious. This was true of his many other postings. I will miss seeing him at every TCM Classic Film Festival. I particularly remember the second year of the festival. He asked what I was attending on the Friday night. My plan was to go to the Vince Giordano concert/dance. He said that he'd like to go too so that we could have a little more time to chat. I had a really great time with Kyle, my sister and Jezebel38 that evening. I will miss Kyle on the boards and in person. He often said things with a smile and a wink behind those eyes. I like to think of him being in movie heaven, surrounded by some of his personal favorites. Thank you to the "Messsage Board Gurus" for creating the Kyle Archive.. that is a very nice way to remember him here. Much appreciated. Those of us who frequent this message board are often greeted with the passing of stars. The passing of Kyle saddens me to a far greater extent than any star. Like many on this message board, I was greeted by Kyle via a private message in the first weeks I was on the board. I was busy voicing my opinion on TCM's spotlight on homosexuality in film. I was "young" and a bit foolhardy. Kyle contacted me for a couple reasons. First, he wanted to put out any fire before it got to be too serious. He was protecting the board. But just as important, he was also looking to protect me, a new member. I had no idea what the board had gone through prior to my joining and he filled me in. From those first exchanges, a friendship was born. The Kyle I got to know was a kind and caring man. He was intelligent, witty, and thoughtful. He was a true gentleman. You always knew his motivation: he loved TCM and this message board. Long live TCM and this message board. As the years have passed, I've come to understand why a "silly" place like a message board carries so much value to many of us. It's the people. A community is only as good as its people. For the most part, this little community has many good people. Kyle was one of its very best. Kyle did a lot to keep this community as wonderful as it is. In fact, I'd say he did the very most. He's irreplaceable. Thankfully, in this little world, we can always spend time with Kyle, if we choose to do so. It's quite a blessing. May you rest in peace, Kyle, my friend. You were loved by many, and you shall not be forgotten. I am so sorry to hear this news. As a fairly new poster here, I had a few fun moments with Kyle here. Rest In Peace. I've been watching my nephews child (3 years old) for the past few days 24/7. I think I will give him an extra hug right now. Kyle's passing comes as a shock. I had just begun to interact with him over our last holiday season. I will miss him. I find it difficult to believe that Kyle is not here, reading and monitoring these posts as he always did since 2005. Although I am no longer at TCM where I was the managing editor of the website from June 2000 to September 2012, lzcutter got in touch with me and relayed the sad news. Kyle developed an impressive reputation quickly as a TCM welcomer to new posters on the message boards. I was always struck by his knowledge of classic film, his friendly, open manner and his sense of fairness and decency when it came to etiquette in an online community forum. He was a true gentleman and the TCM staff learned to rely on his good judgment when it came to occasional message board controversies involving new posters/members who wanted to stir up trouble instead of conversing intelligently with kindred spirits about classic film. I finally got a chance to meet Kyle and lzcutter when they were selected as guest programmers for TCM's 15th anniversary celebration in 2009. As expected, he was incredibly articulate and knowledgeable about his pick, "Meet John Doe," but also completely down to earth and natural, unlike some of us film geeks who can be a little too obsessive when it comes to expressing our views. That was the beginning of a valued relationship. It was always a pleasure to see Kyle yearly in Los Angeles for the TCM Classic Film Festival, whether it was grabbing a bite to eat at the In-N-Out burger near the Roosevelt or sitting together to watch a movie like Buster Keaton's The Cameraman with live accompaniment by Vince Giordano and His Nighthawks. That was a particularly memorable experience and I can still hear Kyle's delighted laughter. He was such a kind and caring person and introduced me to many TCM advocates I am still in touch with such as Moira Finnie, who became a much valued contributor to TCM's Movie Morlocks blog, and film critic Jonathan Melville, who is currently the project coordinator for Screen Machine, Scotland's mobile cinema project. Kyle's spirit and his love of film lives on, not just on these boards (you can read his previous threads), but in cyberspace where his deep knowledge of cinema was utilized in creating content for TCM's recently launched film trivia app. That was the last thing we worked on together and a fond parting memory. Kyle, you are greatly missed but not forgotten. Perhaps after this thread is no longer active, it can also be moved over to the archived section with Kyle's threads so that future visitors to the forums can more fully understand why his contributions are being preserved. I second that. I'm very moved by this outpouring of love from everyone on this thread. I have to start off by saying that I did not know Kyle, or never interacted with him on these message forums. I don't post much here but I have come here often to read and I have read many of Kyle's posts over the last several years. I read this post and each of the many respones and I must say it has been very sad to read. It is always sad when someone has moved on. Obviously, Kyle was very much respected and loved here at these forums. Though I did not know him personally, I too am very sad to hear the news of this mans passing. May he rest in eternal peace. Sincerest condolences go out to all of his friends and family members. 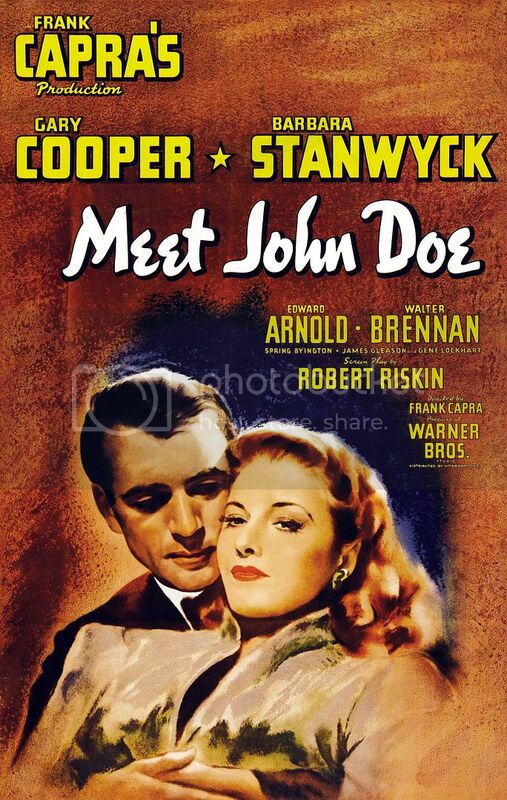 I have never seen Meet John Doe, but the next time it shows up on TCM I will certainly watch it in honor of Kyle. I know if he said it was a good movie, then it must be so. I have spoken to his mother and she is very touched by all the loving thoughts she has read here. Thank you so much for finding this! I have been looking for this for several days. Thank you, Thank you!!! And I am sure many of Kyle's friends here on the message boards, like me who never got a chance to meet him in person will also appreciate this gift. RIP Kyle. Thanks for being one of the people who helped make the TCM community so truly special. I could tell Kyle was special just from the way he participated on these boards. He was thoughtful with his posts, with strong opinions but always respectful of other people and their views. I learned a lot from his contributions. Then I was lucky enough to meet him. In person he was just as smart and interesting as I expected but even kinder and smarter than he already seemed from his writing. I can't say that I knew him well but I did consider him a friend and I'm very sad that he's gone, as is the entire TCM family. Kyle was one of the very few people that actually knew why I had my username, mavfan4life. Most saw it and it registered movfan4life with them. After all, these are message boards about the movies. But, Kyle knew that I had a passion for the Dallas Mavericks On occasion, he would send off a wink wink to me about the Mavs, after they beat the Lakers or lost to the Lakers. He was that way. He got to know folks and he remembered little details about them and their lives. That warmth came through on these boards and when sitting with him, having a beer. I always sought his advice when doing my little travels to the TCMFF blog. In fact, his advice was key in my preparations for my Route 66 trip blog. It really helped give me a framework for my research. His comments were the ones I looked to first for approval. I first met Kyle on the boards. He encouraged me to write a little about my experiences when I got to Southern California for TCMFFII, and that led to my travels blogs/threads. At TCMFFII, Kyle and I were standing by the poolside bar at The Roosevelt having a beer. I had written about spending time in Santa Monica while my buddy worked from his laptop at a coffee shop. Kyle lowered his head and his voice, leaned in and asked, "Did you really get a pedicure in Santa Monica?" Laughing, I replied he should get one. After all, men's feet need pampering, too! Shortly after that, Tom Brown walked up to us, and started chatting with him. After he left, Kyle turned to me and said, "Can you imagine that? I'm nobody and he remembers me, and comes up and talks to me. What a great guy." Well, Kyle, yes I can imagine that. You were hardly a nobody. Tom Brown made you feel the way you made so many others feel, on these boards and in person. Welcomed. A part of the group. This is such sad news. I always found Kyle thoughtful, passionate, sometimes challenging, always respectful and honest, and incredibly dedicated and knowledgeable. I will miss him. This thread is a great tribute to the man and what he meant to all of us. When I first started posting here Kyle was welcoming. Through the years he offered up words of encouragement every now and then that meant a lot to me. He was part of the foundation of this board and it is such a huge loss for our community. He contributed so much to this place and it is a comfort to know that all his great work will live on here continuing to entertain and inform those who love film and love what this forum is all about.